7 Feb 1785 Marriage: Nancy Staton to William Hartless. Surety: John Jarvis. Witness: William Loving Jr, John Smith, Mrs. William Loving, Sarah Jarvis. 6 Oct 1788 Joseph Edwards, AC, to William Hartless, AC, for 20 pounds, 350 acres both sides of Brown Mountain Creek; North branch of the Pedlar. Lines: John Beazley, top of Brown Mountain. Original sent to William Hartless per order 27 Jan 1823. 26 Nov 1794 Larkin Sandidge and wife Mary, AC, to Henry Hartless, AC, for 30 pounds, 35 acres. Original delivered to William Hartless, 7 Sep 1805, as administrator of Henry. 10 Nov 1795 Peter Waterfield, AC, to John Camden Sr, AC, for 30 pounds, 184 acres on Roberts’ Creek: South branch of Pedlar. Lines: William Pryer. Witness: William Higginbotham, William Hartless, Thomas Allen, Thomas Griffith, Joseph Higginbotham Jr, James Smith. Proved by Joseph Higginbotham and James Smith 18 Apr 1796, and final proof by William Higginbotham 20 Dec 1802. 6 Jan 1797 Edward Ware and wife Sally, Georgia, to Henry Hartless (Original delivered 7 Sep 1805 to William Hartless, administrator of Henry Hartless) for 150 pounds, 330 acres Horsley Creek. Lines: Solomon Carter, William Cabell, John Taliaferro. Witness: William Ware, Landon Carter, T.N. Eubank, Larkin Bias, Jer. Dun, William Thurmond, John McCabe, Philip Thurmond Jr.
12 Sep 1799 James Sorrell, AC, to Henry Hartless, AC, (delivered to William Hartless, administrator of Henry Hartless, Sep 1805) for 25 pounds, 83 acres head branches of Pedlar and on the Blue Ridge. Lines: John Jarvis, top of Blue Ridge, Henry Hartless. Patented to James Sorrell on 26 May 1794. Mary, wife of James Sorrell signed. Witness: Benjamin Higginbotham, James Martin, Walter Frasher, Jacob Phillips. 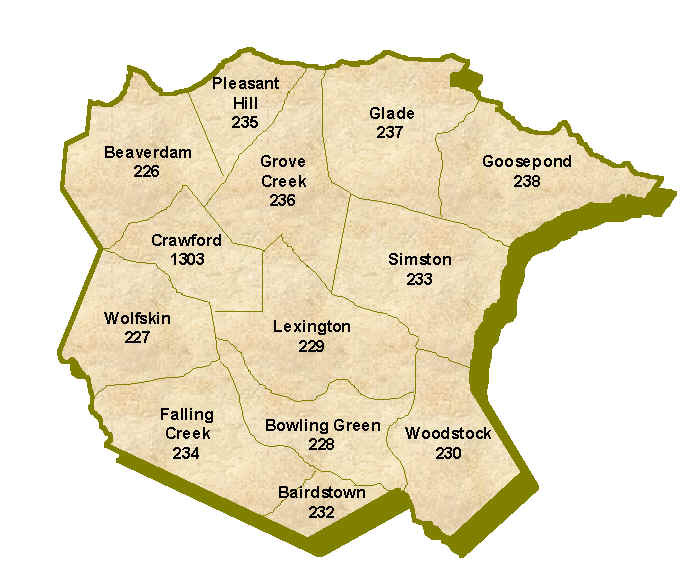 21 Feb 1803 James Ballenger, AC, to Tabitha Ballenger and Nicholas Vanstavern, AC, for 40 pounds, 80 acres Brown Mountain Creek. Patented 3 Mar 1801. Lines: William Hartless, Philip Smith. 17 Sep 1803 Isabell Hartless – my husband departed this life on 9 Jul last, intestate. I am in low state of health and unable to administer. Requested that my husband’s four sons be appointed: Henry Hartless, James Hartless, William Hartless and Richard Hartless. Witness: Benjamin Higginbotham, William Sledd, Joseph Milstead, Nicholas Vanstavern. 4 Dec 1786 Andrew More Staton, son of Ann to Amy Prewett. Surety: John Dennis Crawford. Witness: William Loving Jr, John Taliaferro, William Staton, Richard Staton. 27 Apr 1787. Amherst Tax B. 1791 Amherst County Tax. 1 white. 2 horses. 24 Jan 1796 Bartholomew Staten and Sarah Jarvis, daughter of John Jarvis. Surety: Andrew Moore Staton. Witness: William Sydney Crawford, John Jarvis, Joseph Jarvis, Reubin Nowell. 15 Apr 1797 Reuben, Jesse, Joseph Childress Jr; Samuel Coleman and wife Judith; James Coleman and wife Nancy, Benjamin Sandidge and wife Elizabeth, Major and Shadrick Childress to Joseph Childress Sr, for 1000 pounds, land and slaves – 500 acres. Lines: William Peters, John Coleman, William Camden, Ambrose Rucker. Also 350 acres. Lines: John Harris, Moses Swinney, John Coleman, 7 named slaves, stock. Witness: William Ware, Ambrose Rucker, Jr. Thomas Coleman, Jesse Clements, Joseph Wilson, Taus. Coleman, Joseph Garner, Daniel Coleman, William Peter, Andrew Staton. 13 Apr 1798 Joseph Childress Sr and wife Mary to William Peter Sr, for 200 pounds, 526 acres branches of Harris between Bear and Cedar Mountains. Lines of both. Witness: Joseph Wilson, Andrew Staton, Ambrose Rucker Jr, Robert and Thomas Grissom, Jonathan Wilson. 4 Dec 1786 John Dennis Crawford and Rebeckah Staton, daughter of Ann Staton. Surety. John Smith. Witness: John Taliaferro, William Staton, Richard Staton. 4 Dec 1786 Andrew Moore Staton, son of Ann Staton and Amy Prewitt. Surety: John Dennis Crawford. Witness: William Loving Jr, John Taliafterro, William Staton, Richard Staton. 13 Mar 1790 Amherst Tax B. 1 white. 2 horses. 1791 Amherst Tax. 1 white. 2 horses. 22 Apr 1794 Isaac Wright and wife Susanna, AC, to Phillip Thurmond, AC, (Original delivered to John Crawford 9 Mar 1798, per verbal order) for 600 pounds, 3 tracts North side Tobacco Row and Horsley. 1). 121 and 5/8 acres. 2) 121 5/6 acres adj. Rockey Branch. 3) 121 5/8 acres. 16 Jun 1794 John Brown Jr and wife Frances to Abraham Carter, AC, for 150 pounds, North fork Horsley. 1) 94 acres. Lines: tract formerly that of John Payton, former tract of Philip Peyton. 2) 59 acres, part of tract of Nelson Crawford. Lines: his own, Nelson Crawford. (Delivered to Abraham Carter 7 Mar 1796). Witness: John Crawford, Charles Brown, James Brown, Elliott Brown, Edward Carter. 17 Feb 1804 Isaac Wright and wife Susanna, AC, to William Ware for 100 pounds, 50 acres in fork of both sides north fork Horsley. Lines: William Pryor, John Crawford. Witness: Reuben Crawford, Henry Brown, Nelson Crawford, John Flood, Edward Carter, John Barker. 16 Jun 1806 Reuben Tinsley and wife Fanny, AC, to William Grissom, AC, for 60 pounds, 125 acres both sides Pedlar. Lines: Peter Martin, Henry Camden, James Martin, John Crawford, William Galt. Signed: Phanuabe Tinsley. 10 Jul 1806 William Ware and wife Patty, AC, to John Crawford, AC, for 75 pounds, 51 acres Horsley. Lines: Caleb Rails, Jesse Richeson. Original delivered to John Crawford 20 Mar 1810. 12 Nov 1787 Marriage. Bartholomew Staton and Margary Jarvis, daughter of John and Sarah Jarvis. Surety: James Frayer. Witness: Benjamin Powell, William Loving Jr., John Jarvis Jr, William Clark. 27 Jun 1789 Marriage Thomas Jarvis and Mary Vickers, daughter of Batholomew Staton. Surety: Bartholomew Staton. Witness: John Taliaferro, Margery Staton, Sarah Jarvis, William Harris. 5 Sep 1791 Marriage. Thomas Staton Jr, son of Thomas Staton and Mary Chidlress, daughter of John Childress. Surety: William Staton. Witness: William Loving Jr, Bartholomew Staton, John Ballow. 1793 Amherst Tax List B. 7 Feb 1794 Marriage. Thomas Griffith and Mary Jones. Surety: Bartholomew Staton. Witness: Reubin Crawford, William Tucker, Mary Clark. 24 Jan 1796 Marriage. Bartholomew Staton and Sarah Jarvis, daughter of John and Sarah Jarvis. Surety: Andrew Moore Staton. Witness: William Sydney Crawford, John Jarvis, Joseph Jarvis, Reubin Nowell. 24 Mar 1799 Will. 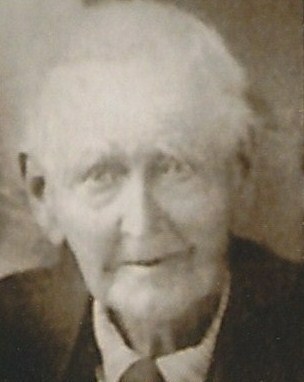 John Jarvis Sr. Wife: Sarah. Daughters: Margery Staton, Sarah Staton, Betsy. Grandson: Joseph Staton, son of Bartholomew and Margery Staton. Executors: Sarah Jarvis, John Jarvis, Joseph Jarvis. Witness: Henry Hartless, John Frazer, Edward Vickers. 12 Jul 1760 William Staton to William Leak for 10 pounds, 122 acres, part of 400 acres patented to John Ballow 12 Jul 1750. 285 acres of patent to Staton from Ballow. Adjoining Staton, Benjamin Howard. 7 May 1764 Rowland Horsley Birks and wife Sarah, Bedford, to William Staton 20 pounds for 400 acres both sides of Harris Creek and joining north side of Fluvannah River. Lines: Captain Charles Lynch, Rev. William Stith, George Carrington. 12 Jul 1770 William Staton to Christopher Lynch, Bedford for 5 schillings, 59 acres and part of 400 bought by Staton of Rowland Horsley Birks. Bank of Harris Creek. Lines: Wailes, bank of Fluvanna. Witness: George Stovall Jr, Benjamin Rucker, Anthony Rucker, James Franklin. 12 Jul 1770 William Staton to Christopher Lynch, Bedford for 25 pounds, 10 schillings, 59 acres and part of 400 acres. Release of indenture upon payment of debt. 26 Feb 1780 Thomas Laine, Jr to Mary Staton. 20 Jan 1781 William Staton – 8 days service with nine hands and seven canoes conveying the militia to Westham. 16 dollars. 19 Feb 1781 William Staton – 5 canoes for Lipley’s Invasion 20 days. 1 canoe – Lipley’s Invasion 4 days. Rifle gun – Arnold’s Invasion 4 days. 1 Jul 1782 William Staton Administrators Bond. Lucy Staton. John Penn, George McDaniel for Lucy Staton. 4 Nov 1782 Hugh McCabe to Thomas Staten, Rockbridge for 42 pounds, 50 acres both sides middle fork Pedlar. Lines: Joseph Higginbotham, Jr. 3 Mar 1783, Sarah McCabe, widow of Hugh McCabe, appeared and relinquished dower rights. 4 December 1786 John Dennis Crawford and Rebeckah Staton, daughter of Ann Staton. Surety: John Smith. Witness: John Taliaferro, William Staton, Richard Staton. 4 December 1786 Andrew Moore Staton, son of Ann Staton and Amey Prewit. Surety: John Dennis Crawford. Witness: William Loving, Jr, John Taliaferro, William Staton, Richard Staton. 12 November 1787 Bartholomew Staton and Margery Jarvis, daughter of John and Sarah Jarvis. Surety: James Frayer. Witness: Benjamin Powell, William Loving, Jr., John Jarvis, Jr., William Clark. 27 June 1789 Thomas Jarvis and Mary Vickers, daughter of Bartholomew Staton. Surety: Bartholomew Staton. Witness: John Taliaferro, Margarey Staton, Sarah Jarvis, William Harris. 15 Sep 1790 Jacob Pettyjohn, Lucy Staton, Rebecca and Mary Staton and Jacob Pettyjohn, guardian for Nancy Staton, to William Damron for 100 pounds, 200 acres Harris Creek. Lines: A hornbeam at creek, mouth of Polecat. Witness: John Robinson, Jesse Beck, Allen Headen. 5 Sep 1791 William Damron to William Mickle, Campbell for 200 pounds, 214 acres Harris Creek. Bought by Pearce Wade of William Staton, deceased and sold by Wade to Damron. Lines: Mouth of pole cat. 19 January 1791 Benjamin Childress and Mary Ann McCabe, daughter of Sarah McCabe. Surety: William Staton. Witness: William Loving, Jr, Pleasant Martin, Aaron Milstruck, John Childress, Nathaniel Henderson. 5 September 1791 Thomas Staton, Jr, son of Thomas Staton and Mary Childress, daughter of John Childress. Surety: William Staton. Witness: William Loving, Jr, Bartholomew Staton, John Ballow. 12 November 1792 Reubin Toney and Fanny Willoughby, widow. Surety: Samuel McGehee. Witness: Owen Haskins, Zacharius Peter, William Staton. 19 Aug 1793 James McClancey to Ann Staton. Mother Lucy Staton. 21 Oct 1793 John Holloday and wife Lettice to William Staton for 100 pounds, 155 acres North bank Buffalo. Lines: Stephen Cash. 20 Jan 1794 Abraham Warren, half – brother of Jacob Pettyjohn to Rebecca Staton, daughter of William Staton, deceased. Surety: Jacob Pettyjohn. 7 February 1794 Thomas Griffith and Mary Jones. Surety: Bartholomew Staton. Witness: Reubin Crawford, William Tucker, Mary Clark. 1 July 1794 William Lain, Jr, son of James Lain and Mary Lain, daughter of William Lane. Surety: George Laine. Witness: W.S. Crawford, William Lavender, William Staton. 1 December 1795 Reubin Staton and Jane Ricketts, daughter of Thomas Ricketts. Surety: Mathew Ricketts. Witness: William Sydney Crawford, Daniel Day. 12 Sep 1795 William Staton and wife Mary, to James Mays for 110 pounds, 155 acres North branch of Buffalo. Lines: Stephen Cash, Benjamin Taliaferro, John Mays, Peter Cash. 1 white, 1 slave Land adjoining Peter Goolsby. 16 Sep 1795 John Mays and wife, Frankey to Peter Cash 100 pounds, 150 acres Stonehouse Creek. Lines: Charles Tucker on north, Mays on west, Joseph Bond on south, Stephen Cash on east. Witness: Benjamin Taliaferro, William Staton, James Mays. Benjamin Staton # 7 pole tax 100 acres. Land adjoining Peter Goolsby. 24 January 1796 Bartholomew Staten and Sarah Jarvis, daughter of John Sarah Jarvis. Surety: Andrew Moore Staton. Witness: William Sydney Crawford, John Jarvis, Joseph Jarvis, Reubin Nowell. 24 January 1796 William Staton and Milly Wright, daughter of Jesse Wright. Surety: William Lavender. Witness: Linsey Wright, Samuel Meredith. 20 May 1797 William Staton and Nancy Fitzgerald. Surety: Benjamin Fitzgerald. Witness: Samuel Meredith. 10 July 1798 James Staton, son of Thomas Staton of Rockbridge, and Mary Sorrell. 20 January 1802 Charles Stinnett and Betsey Staton. Surety: Andrew Staton. Witness: William Sydney Crawford. Please let me know if you can help shed light on Thomas O Staton and his parents – and line back as far as we can get. Thanks for help connecting, if you can!